electric portable compressors truly come into their own in work environments where quiet and exhaust-free conditions are required. These environmentally-friendly compressors therefore elegantly avoid the restrictions that apply to the use of combustion engines. Being part of the KAESER dealers and after sales service network, RESITECH Ghana Ltd. offers sales and service in Ghana and neighboring countries. 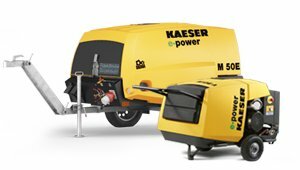 As the sole distributor of KAESER Air Compressors, RESITECH offers the full range of Compressor and Compressed Air products for sale in Ghana. With RESITECH, maximum operational reliability is assured at all times.